There will be training available for 12 people in the club when we purchase the defibrillator. Anyone willing to take part in this training on Wednesday the 27th of June from 6.30 to 10.00 should contact Deirdre Gallagher on 087 411 7713. Next Monday at 6.30 the U12s take on Gweedore in Gweedore. Both under 12 teams won against Cloughanealy at the Burn Road on Monday night to keep up their excellent run of form. The under 14s are at home to Milford next Wednesday the 27th at 7.30. The minor boy’s season will restart on Tuesday the 26th of June against Glenswilly at the Burn Road. Throw in 7.30. Training this Saturday morning as usual for the underage groups apart from the u10 boys. Thanks to the U8 parents who braved the wet conditions for the blitz last Saturday morning. The under 10 boys take part in a blitz in Falcarragh this Saturday morning. All children to be in Falcarragh for 10.45. Any queries contact Paddy Gallagher on 086 3204824. Under 16 training takes place every Thursday at 5.30. All new players welcome. Well done to the Termon girls involved with Donegal at the blitz last weekend. The junior ladies had an excellent result against Red Hughes last Sunday. Anne McGlynn, Shauna Kelly and Tara McDaid were best for Termon. The junior ladies finish their league season this Sunday evening away to Lifford. The senior ladies play Robert Emmets this Sunday at 12 noon at the Burn Road. This is the ladies last remaining home fixture and all support would be appreciated. Our Seniors and reserves take on Aodh Ruadh at home this Saturday evening at 6.00 and 7.30 respectively in an important round of league fixtures. The Lotto draw took place in the Glenveagh Inn on Friday last. The numbers drawn were 11, 12, 17 and 21. There was no match 4 winner. Kathleen Gallagher, Paul Doherty and Eddie Ferry matched 3 numbers and won €30 each. Olive McCafferty and Carmel Flanagan were drawn in the open draw and won €10 each. Next week’s draw takes place in the Lagoon. Gerard Grant and Joe McDaid are the coordinators. The jackpot is now €550. 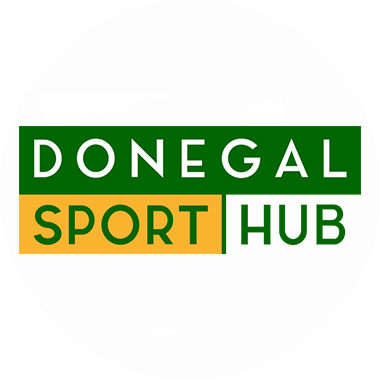 Anyone wishing to order tickets for the Donegal Tyrone Ulster semi final should contact Martina Kelly by noon on Friday the 22nd at noon. Ticket orders will only be accepted from current club members.